80% of the U.S. population has some form of periodontal gum disease. Fact: Pick Up The Toothbrush. 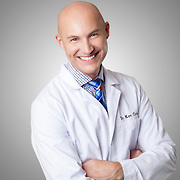 To better understand this debate Dr. Ken Cirka, DMD, graduate of The University of Pennsylvania Dental School, explains: “This way the teeth are cleaner, and you are not inoculating bacteria deep into your gums, which can lead to a gum infection”. Fact: 31% Of Americans Do NOT Floss. Surprised? If you are human then you know that hectic schedules are very good at distracting us from the most simple of tasks. The truth is we need to floss in order to remove food AND the film of bacteria that forms there before it turns to plaque, which can cause inflamed gums (gingivitis), cavities, and tooth loss. On the issue of flossing every day: “None of us is perfect. But leaving floss next to the TV or bed is a gentle reminder to floss before bed”. DENTAL PRODUCTS. What are the best options? FACT: Look for ADA: American Dental Association approved products. “I love Crest toothpaste”, says Dr. Cirka, “Crest offers ADA approved oral products that work great at helping to reduce plaque buildup, and keep your mouth feeling fresh throughout the day”. FACT: Bad Bacteria Love Sugary Treats. FACT: Bad Breath in the morning: Normal, because our mouths dry out while we sleep. In between brushing, studies suggest that drinking unsweetened black or green tea may help ward off bad breath. Eating 6 ounces of unsweetened yogurt every day can reduce the level of odor-causing hydrogen sulfide in your mouth. If you are looking to mask garlic breath, eat an apple. The polyphenols found in apples break down the smelly sulfur compounds. An apple a day can keep the garlic breath away! FACT: There are a variety of options to choose from if you are considering a brighter smile. Studies show that people with whiter teeth make a greater first impression. Zoom! Whitening, Bleach Trays with Gel, and over the counter products. Dr. Cirka breaks down the pros and cons. Pros: “The safest way to whiten teeth is through an in office treatment such as our Zoom! Whitening. Some of our patients teeth are more sensitive than others and through an in office procedure, we’re able to greatly reduce sensitivity”. Pros: Can lighten your teeth as much as 10 shades with just a 15 minute gel application a day for ten days. Cons: At home technique, not done in office. Pros: Less cost. The only over-the-counter gel that Dr. Cirka recommends: Crest Whitestrips. Cons: “Other products, over the counter or on the Internet may not be safe, my be acidic, and may remove a layer of your tooth. Don’t take that chance. Also, you may experience high sensitivity, the teeth can whiten unevenly, and the teeth can become weak using methods other than that which a dentist provides”. Prevention is the best way to take of your mouth. In addition, regular cleanings are a must to protect your teeth. Remember, healthy gums don’t bleed. If yours do, then see a dentist right away. Follow me on Instagram for more tips and tricks.